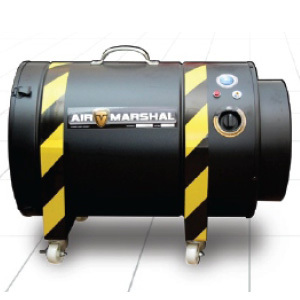 The AirGuard series features rugged and portable units use military-based technology to remove complex airborne pollutants. Units in this series can be used for chemical, gas and odor control or particle abatement depending on the configuration. Features include variable speed controls and a pressure light indicator. Negative air ready.